Kerala rains: The India Meteorological Department station in Thiruvananthapuram has predicted more rainfall in the next two days, more so in districts like Alappuzha, Ernakulam, Idukki, Palakkad, Malappuram, Kozhikode, Wayanad and Kannur. 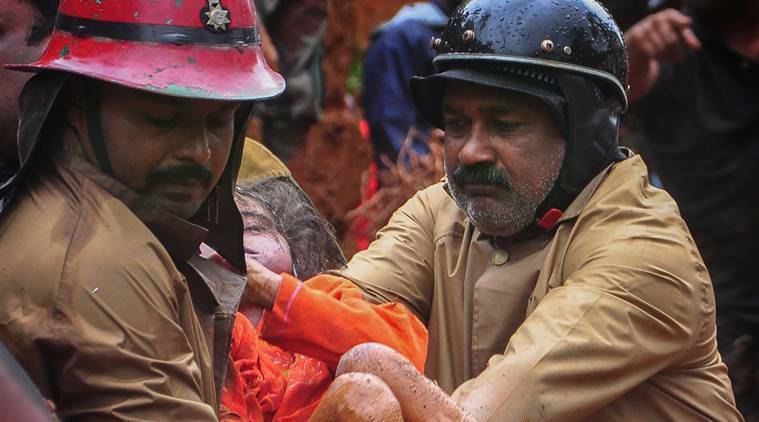 A resurgent southwest monsoon, sweeping large parts of the northern and central districts of Kerala, left an extensive trail of destruction and loss of life in its wake in the last 24 hours. As of Thursday evening, a report of the State Emergency Operations Centre pointed to 22 deaths across five districts of the state and several others reported missing since the previous night. The bulk of the casualties have been reported in Idukki (11) and Malappuram (5) districts, with deaths, also occurring in Kozhikode (1), Wayanad (3) and Kannur (2). The northern Malabar region, in particular, has received heavy rainfall over the last 24 hours. Rivers like the Periyar and Chaliyar are flowing above dangerous limits, inundating a vast section of paddy fields and homes on its banks. 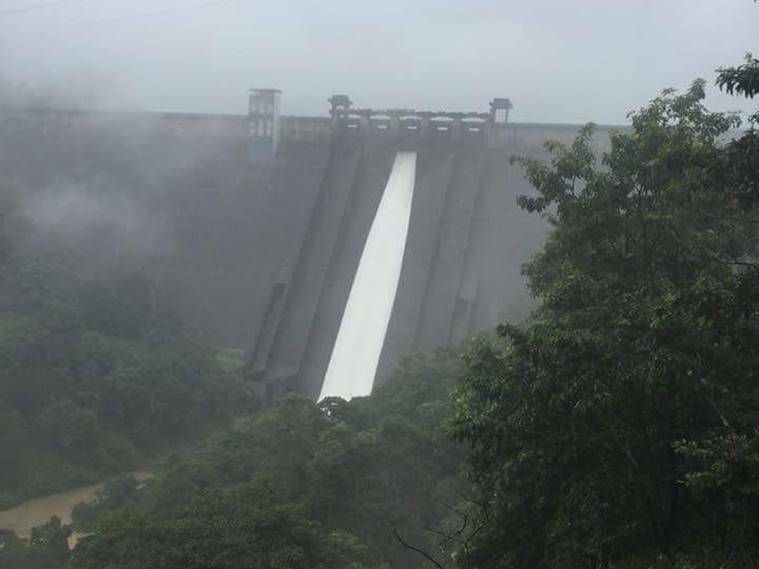 In Palakkad, the opening of the shutters of the Malampuzha dam have led to floods in areas like Kanjikode and Kalpathy. The district administrations have specifically warned locals and tourists from going near river banks, catchment areas of dams and taking photographs or selfies. Movement of vehicles has been restricted across several bridges in the state which pass over swollen rivers. Videos of roads getting washed away in the face of strong river currents also did the rounds on social media. An inter-ministerial central team is scheduled to visit the flood-affected areas soon. Four teams of the National Disaster Response Force (NDRF) have been dispatched to the state from Chennai. The support of the Army was mobilised from Bengaluru. Addressing reporters after a review meeting, Chief Minister Pinarayi Vijayan said the flood situation in the state was “very grim” and it was for the first time in the history of the state that 24 dams have been opened at a time following the water level reaching its maximum capacity. “The flood has caused large-scale damage across the state. Water levels in rivers are on the rise. Thus, there is a need to open the shutters of many dams,” the chief minister said. 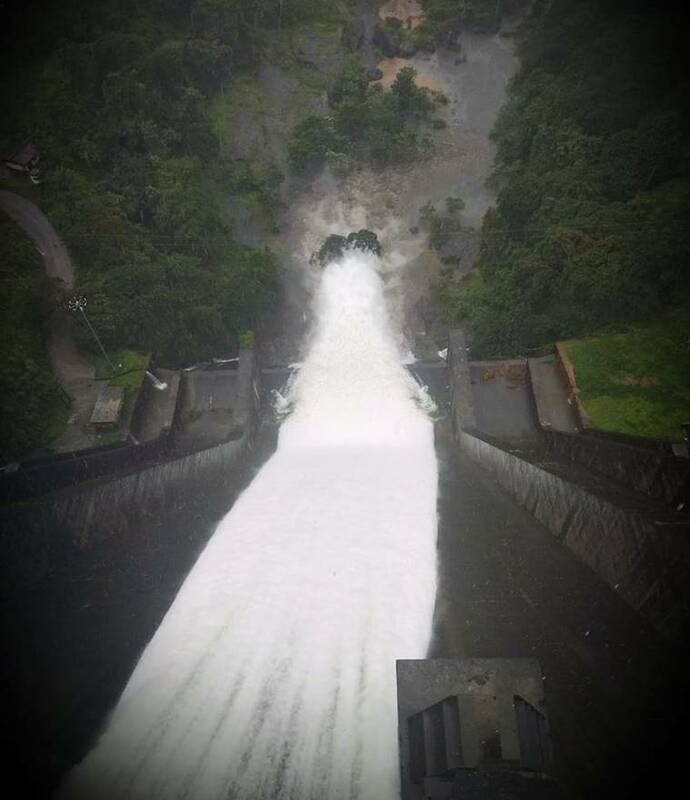 After several days of an anxious watch, one of the five shutters of the Cheruthoni dam located on the Idukki reservoir was thrown open on a trial run to drain the excess water out into the Cheruthoni river in Idukki district. The shutters were being opened after a gap of 26 years. Both the catchment area of the reservoir and the low-lying areas had received a lot of rainfall Wednesday night. Scores of people lined up at vantage points as the government, after a prior warning, ordered the opening of the sluice gates. While the maximum storage level in the reservoir is 2404 ft, the shutter was opened when the water had touched a height of nearly 2399 ft. The trial run lasted for four hours. The famed snake boat race, known as the Nehru Trophy, on the Punnamada Lake in Alappuzha district has been postponed in view of the emerging rainfall situation. While the race was scheduled to be held on August 11, it has been deferred to a later date. The tourism department will officially notify the new dates soon. For more than an hour, flights scheduled to arrive at the Cochin International Airport at Nedumbassery were turned away in the event of the opening of the Idukki dam shutters. The premier Kochi-based airport is located near the banks of the Periyar river into which the water from the Idukki reservoir were released. Canals located near the airport experienced flooding on Thursday afternoon. However, officials later notified that all operations, including departure and arrival of flights, were back on track. The hilly district of Wayanad, prone to landslips, was put on red alert by the district administration. People have been asked not to step out of their homes unless an emergency situation presented itself. In areas prone to landslips, several homes have been vacated. Meanwhile the shutters of the Banasura Sagar dam were raised further to drain the excess water out of the reservoir. Rahul Gandhi says PM Modi has ‘anti-Dalit’ mindset, BJP hits back.